​​Rapids Field Hockey believes in equal opportunity for each athlete to develop and play to the goals they set for themselves. We coach and teach players to be well-prepared for competition and to have fun enjoying their passion for the sport. Our culture is rooted in respect for all both on and off the courts and field. We believe in promoting the benefits of youth sports to carry over into all areas of our athletes' lives. Kelsey is a Level II USAFH and VHSL certified coach. ​Kelsey is Head Field Hockey Varsity Coach at Stone Bridge High School after serving 2 years as the Assistant Varsity Field Hockey Coach. A local resident, Kelsey played varsity hockey at Robinson Secondary in Fairfax and played club hockey at the College of William & Mary. She is also a 1st grade teacher at Creighton's Corner in Ashburn. Kelly is a Level I USAFH certified coach. ​Kelly was bitten by the field hockey bug in the 7th grade beginning with a grassroots start in middle school in Virginia Beach. She continued playing in high school and club at George Mason University. Kelly has coached Rec League in our PFH Rec League since 2014 and skills last spring. Her focus is developing core fundamental skills in younger players so they can be successful in ascending the ranks. She believes that hard work, discipline, willingness to learn and, above all else, fun are the keys to a successful team. Her goals are to empower athletes to believe in themselves and their abilities while fostering trust in their teammates. Kelly's reward as a coach is enabling her players to grow while seeing them fall in love with field hockey. Meg is a Level II USAFH and VHSL certified coach. 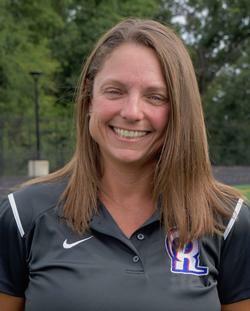 ​She helms the Broad Run Field Hockey team. Meg was named 2016 & 2017 Conference 14 Coach of the Year. She has been coaching travel teams of all ages since founding the club in 2011. Meg led the 2015 U12 team to win a gold medal in their pool at the National Indoor Tournament. Fun fact is the 2015 U12 team won a medal at every tournament they played in that year. The National Field Hockey Coaches Association awarded her the 2014 Junior Field Hockey award for all of her hard work in bringing and growing field hockey in Loudoun County. Meg is also a Region 8 USA FH Head Futures Coach. She enjoys coaching becasue she loves to see the players and their confidence grow both as field hockey players and people. You can often find her volunteer coaching a 7/8 PFH Rec team every spring. Michelle is a Level I USAFH certified coach. ​Michelle has been coaching elementary and middle school players in our PFH Rec League since 2014. She started playing field hockey at 8 years old in Virginia Beach. Michelle led the PFH adult league for 5 seasons. She is currently substitute teaching at Creighton's Corner Elementary School in Ashburn. Michelle loves to coach and strives to instill a love of the sport! Christy played D1 field hockey at Syracuse University where she was a 2 time All-American and participated in the Olympic Developmental Program. She coached summer programs throughout college and became an assistant coach at Vassar College in New York after graduation. Christy continued to play for a local club after she relocated to the DC area for work quitting only after her daughter was born. Christy is married and lives in Sterling. Her son is a sophomore at Dominion High School and her daughter is an 8th grader at Seneca Ridge MS. Christy loves field hockey! Brooke is a Level II USAFH and VHSL certified coach. ​Brooke currently works as a PE teacher at McLean High School where she is in her third year as the Field Hockey Varsity Coach. Brooke was a four year starter at the D1 Ohio University Bobcats from 2008-2012 and helped lead the team to the NCAA Championships in 2011. She served as captain and was a two-time National Field Hockey Associations D1 Academic Squad Selection. Brooke scored the game-winning overtime goal for the Bobcats in the 2011 MAC Championship. The Bobcats were MAC Champions twice during Brooke's four year tenure with the team. After graduating, she served as a post-grad assistant coach at Ohio for head coach Neil MacMillan. Brooke came to Virginia after 2 years in OH where she worked at Hathaway Brown High School as a PE teacher and Varsity Field Hockey Coach. She led the team to a winning 12-5 season while she was there coaching 7 players to to recognition as All Region selections. Caroline is a Level I USAFH and VHSL certified coach. ​Caroline is in her third year as the Varsity Field Hockey Coach at John Champe High School and is a third grade teacher at Goshen Post Elementary School. She grew up in Richmond playing club field hockey for Panthers. She was a defender on D3 Bridgewater College's field hockey team in VA where she also played on their lacrosse team. She enjoys running and spending time outdoors with her family and friends. Mary is a Level I USAFH certified coach. ​Mary played defense for 4 years at D1 Georgetown University where she is still active in GUFH alumni activities through Circle Club. She has extensive experience coaching middle and high school players. Mary started field hockey programs at both O'Connell High School in Arlington and Good Counsel High School in Olney, MD. 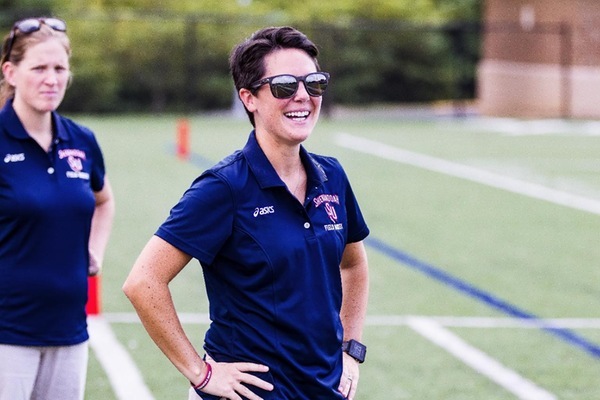 She led the effort to make field hockey a conference sport within the Washington Catholic Athletic Conference (WCAC) and coached Good Counsel to the first WCAC Championship. Mary has also volunteered as a coach with both PFH and Great Falls Rec Leagues. 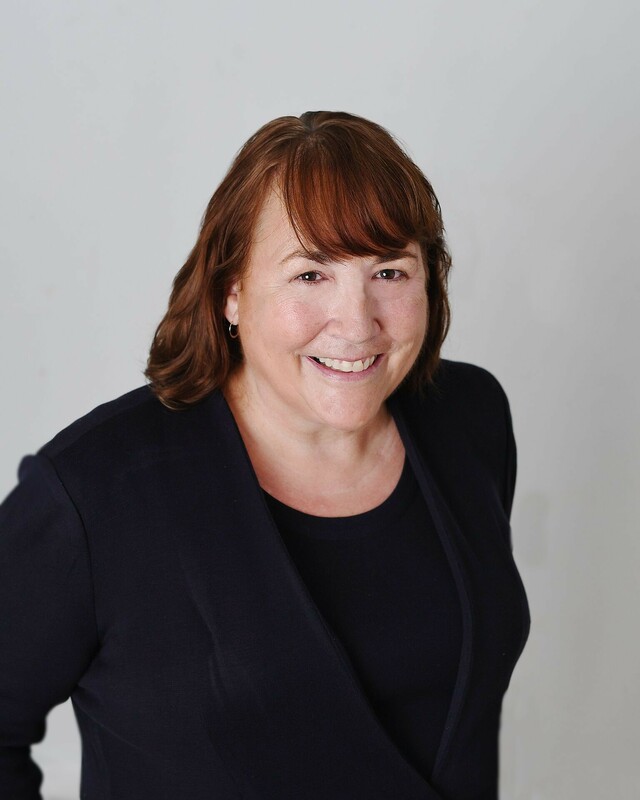 Mary lives in Arlington and works as a consultant with Deloitte. Ashley is a Level II USAFH and Head Field Hockey Coach at Shenandoah University in Winchester, VA. ​She was a full scholarship D1 player at Michigan State and helped MSU to a pair of NCAA tournament appearances and a Big Ten Championship. 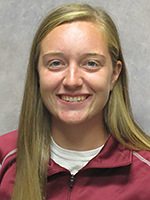 Ashley was an assistant coach for D3 powerhouse University of Rochester where they appeared in the 2012 NCAA Quarterfinals after spending a year as a graduate assistant in 2007 at her alma mater, MSU. She took the Head Coach position at Shenandoah in 2013. Her first year at SU she led the team to 10 overall wins and 6 ODAC victories setting a new program record. SU finished as runner-up in the ODAC in the regular season that year earning Coach Ashley ODAC Coach of the Year her first year! Two years later, Ashley coached the SU Hornets to 11 overall wins including a 9 game winning streak with 6 ODAC victories. The following year, she coached the team to their first ever ODAC Championship win earning her VaSID Coach of the Year along with a second ODAC coach of the year. Fun fact is Ashley grew up playing soccer for one of the most competitive clubs in the country and didn't begin playing field hockey until high school. 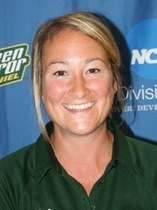 Kellina is a Level II USAFH and Head Field Hockey Coach at McDaniel College in Westminster, MD. ​Just prior to joining McDaniel, Kellina was the Head Field Hockey Coach at Cedar Crest College for 3 seasons. During her time at Cedar Crest, in 2017 she was named Colonial States Athletic Conference Coach (CSAC) of the year. Before becoming a head coach, Kellina held various positions including: assistant coaching roles at Dickinson College, Keystone College and Marywood University. As well as, coaching roles at clinics and camps on the collegiate and club levels. 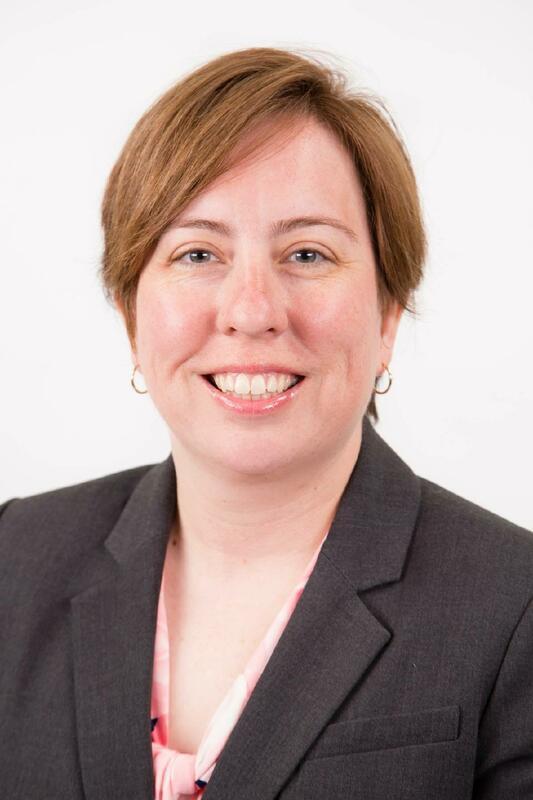 Kellina has also served as a USAFH site director at McDaniel College and holds her level I and II coaching certifications. She is the former founder and director of the Lehigh Valley Sparx field hockey club, located in Bethlehem, Pennsylvania. Kellina currently holds her bachelor of science in Elementary Education (Keystone College), her masters in Education (Cedar Crest College) and is currently pursuing her masters in Kinesiology (McDaniel College) and resides in Maryland, with her goldendoodle Tyke. ​Melissa is a Level I USAFH and VHSL certified coach. Melissa, aka DITA, grew up locally graduating from Fairfax HS in 2014 where she also spent 2 years playing club for Capital Pegasus in MD. 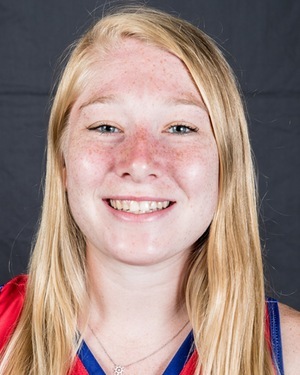 She was recruited to play at D3 Shenandoah University where she played all 4 years including the 2016 ODAC Championship team. DITA graduated Spring of 2018 and has coached 2 full seasons with Rapids and is her first year as the Assistant Varsity Coach at Stone Bridge where U10 Rapids Head Coach Kelsey Glass is the Varsity Coach. DITA loves field hockey and has a lively sense of humor! 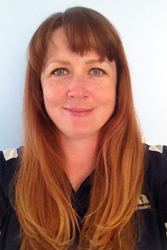 ​Amy is a Level I USAFH and VHSL certified coach. 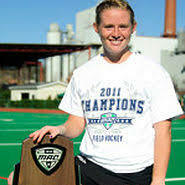 Coach Amy grew up playing field hockey in Massachusetts & has been involved in the sport for many years on many levels. Before moving to Loudoun County, she was the head varsity field hockey coach at San Pasqual High School in Escodido, CA & a coach for the USA FH Futures Program at The Olympic Training Center in Chula Vista, CA. 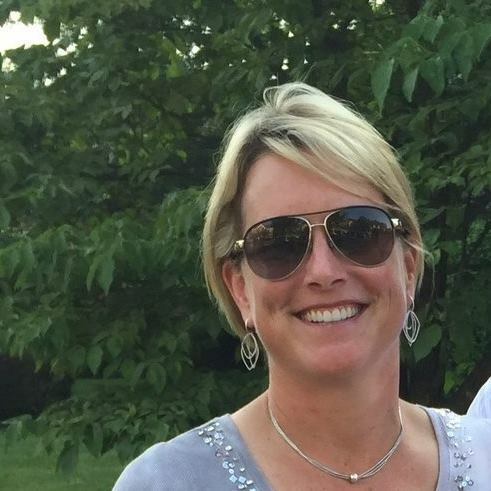 Amy is the head varisty field hockey coach at Riverside HS where she teaches social. She lives in Ashburn with her husband and 2 kids. ​Garrett has an ACSM certification. Garrett started our performance and conditioning program in November 2015 after we had several players with overuse injuries. Garrett quickly won over our coaches, players and parents and we are happy to say that we have not had any overuse injuries since he joined us. Garrett is passionate about working hard for our players and can at times be found at area high school field hockey games watching how they do. He is currently the Head Perfomance Coach at Onyx Elite in Reston, VA. His wife is a PE teacher in Fairfax County and they have 2 awesome children.